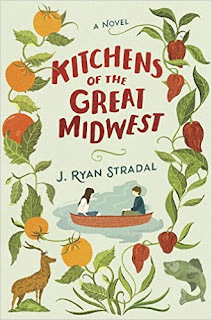 CAROLINELEAVITTVILLE: J. Ryan Stradal talks about his exhuberantly wonderful novel, Kitchens of the Great Midwest, wanting to write a book his mom would have loved, being a foodie, writing, and so much more. 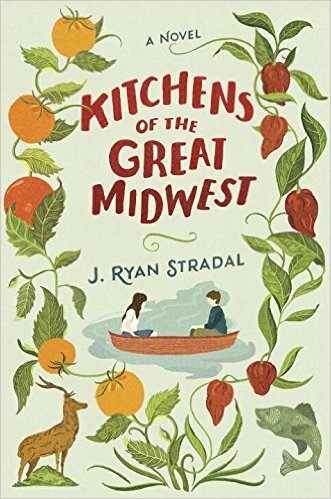 J. Ryan Stradal talks about his exhuberantly wonderful novel, Kitchens of the Great Midwest, wanting to write a book his mom would have loved, being a foodie, writing, and so much more. The title of Kitchens of the Great Midwest is as glorious as that cover. You can't help but become engrossed. 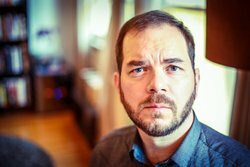 J. Ryan Stradal is an editor Unnamed Press, fiction editor at The Nervous Breakdown, advisory board member at 826LA, and co-producer and host of the literary/culinary series Hot Dish. 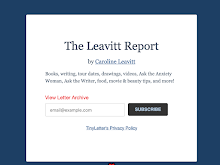 His work also appears appears in Hobart, The Rumpus, The Los Angeles Review of Books, Joyland, The California Prose Directory, and Midnight Breakfast, among other places. He likes books, wine, sports, root beer, and peas. Publishing a debut is always exciting--and a little nerve-wracking, yet people are already buzzing about your book. Does this make it harder or easier to write your next book, and if so, why? No—at least not yet, anyway. The new book feels like a completely different entity. It’s like everyone is talking about what I made for lunch, and meanwhile I’m busy cooking dinner. To some extent it already feels like someone else wrote Kitchens. I’ve heard that this could happen. I love all of the characters in that book, but I love my new characters too, and they’re the ones I’m thinking about every day and obsessing over. Great question. I wanted to write a book that my mom would’ve loved had she lived to see it exist. Beyond that, I was driven to write a book set in my home region, with characters that resembled the kinds of people I knew growing up. I hadn’t read anything yet that really nailed that for me, so I figured I’d better write it myself. This one really was heavy with my mom’s influence, though. I thought of her every day while I was writing this. It was like she was sitting behind me. Somewhere in the middle of those two, but skewed towards the latter. I don’t outline before I start working, but I do have some idea of what ending I’m working towards. I write into a story, and depending on the work, once I discover it, I may make some kind of structural schematic when it’s far enough along that helps me keep track of what’s happening and what still needs to happen. I deeply admired the structure of this book, with all the different points of views, all of them forming a kind of tapestry allowing us to see a more complex Eva. Did you know this was going to be the structure when you began writing or did it seem to evolve organically? And how different was your first draft from your last? I devised this structure in my head pretty early on. I started with the notion that I’d tell the stories of the guests at a dinner party, explaining how each knew the chef, and work backwards, with each chapter telling the story of a different guest. I veered from that pretty quickly once the personality of the chef became so strong, and she, not the dinner, became the focus. The first draft was about 80% the same. Initially there were more chapters like Venison and Bars that barely involved Eva. I quickly decided that I didn’t need so many of those. 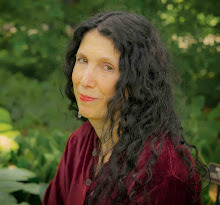 One character was wiped from the book completely when the two chapters that prominently featured her were both cut. There was more time spent with Ros Wali and his company in one of them. Every chapter, in my mind, had to tell the reader something new and important about Eva, so the ones that failed that test had to go, regardless of their other merits. Of course, the book is about food, so I wanted to know if you, yourself, are a foodie? And are the recipes in the novel yours? I’m an enthusiastic eater of food, but not much of a chef. I follow recipes, I don’t come up with them. The ones in the novel are largely inspired by recipes in a book compiled by a group of women at my great-grandmother’s Lutheran church in 1984. My next novel. It’s what I’m working on even when I’m not working on it. Who else has helped since I wrote the acknowledgements section last fall! So many people mattered to me so deeply while I was writing the book, and so many people have continued to astonish me with the amount of hard work and generosity they’ve brought to my life in the intervening year between completion and publication. These folks require my eternal gratitude in print: Thank you, so much, to Joel Arquillos, Stefan Bucher, Ellen Byron, Ann Friedman, David Gonzalez, Chris Heiser, Carolyn Hutton, Rosemary James, Pamela Klinger-Horn, Cathy Langer, Steven Salardino, Kate Stark, and, significantly: Tom Benton, Jude Swenson, and Brian Tart.